When the first settlers crossed the American plains in the mid-to-late 1800s, the vast landscape must have seemed endless. So much fertile land to be ranched or farmed. Although being a farmer or rancher was hard work, it was a satisfying way of life for many people. In the 1920s, grain prices dropped and many farmers had to farm more land just to earn as much money as they had before. Farmers throughout the Midwest stripped the prairie-lands to make more farms. Some people warned that the land couldn’t remain fertile if it was used this way. When faced with a hungry family, though, few farmers listened to these warnings. Then high temperatures and drought caused the crops to die. The Earth became rock hard. Strong winds came and blew the hard earth away as dust. There were no trees or plants to hold it in place. On April 14, 1935, a huge dust storm rose. It went on for hundreds of miles and moved quickly across the United States, covering anything in its path in thick, black dust. The sky was as dark as night. The dust storm dropped 12 million tons of dust on Chicago and went all the way to New York City. This day was known as Black Sunday. 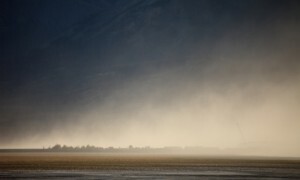 Dust storms called Black Rollers frequently blew across the landscape. The dust storms could be 10,000 feet high. No one was safe from the storms. The dust invaded homes and barns. It got into people’s eyes, noses and lungs. Many children and the elderly died from dust pneumonia. Farm animals choked to death during the dust storms. Cars and even buildings were covered in dust. After Black Sunday, many people gave up farming and moved west looking for better opportunities. This was a sad, hard time. The U.S. government put plans in place to save the grasslands. The government planted more grass and trees and restricted farming practices. 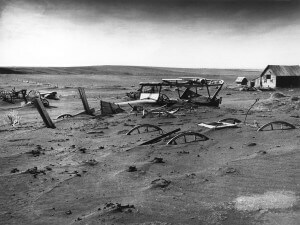 Dust Bowl: the area affected by the dust storms. Includes Nebraska, Oklahoma, Kansas, Texas, Colorado and New Mexico. A video slideshow of pictures of the Dust Bowl with music about the disaster. Question: Could this disaster happen again? Answer: Yes. Currently farmers in South America and Africa are rapidly cutting down or burning rain forests to make more farmland. As the land becomes deforested, many of the same problems appear. Enjoyed the Easy Geography for Kids all about Dust Bowl info? 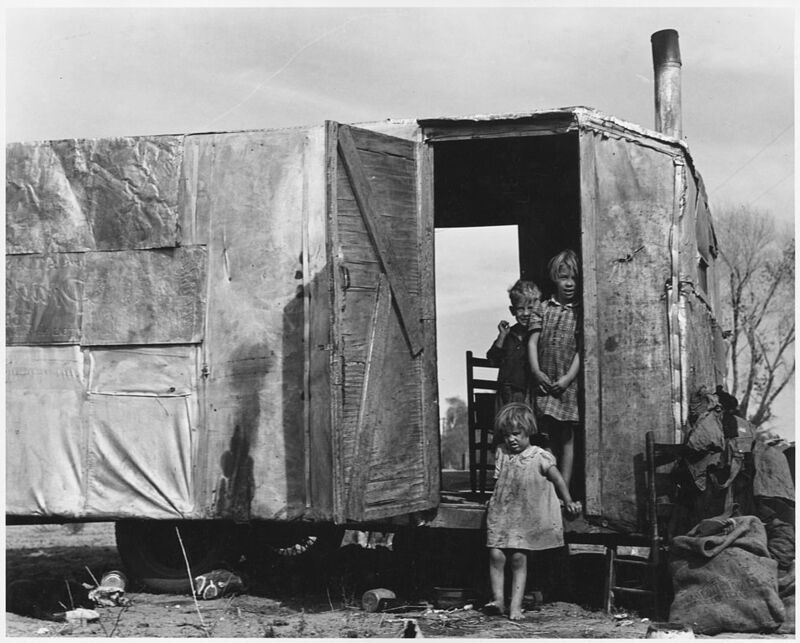 Take the FREE & fun Dust Bowl quiz and download FREE worksheet all about Dust Bowl for kids. For lengthy info click here. Declan, Tobin. " 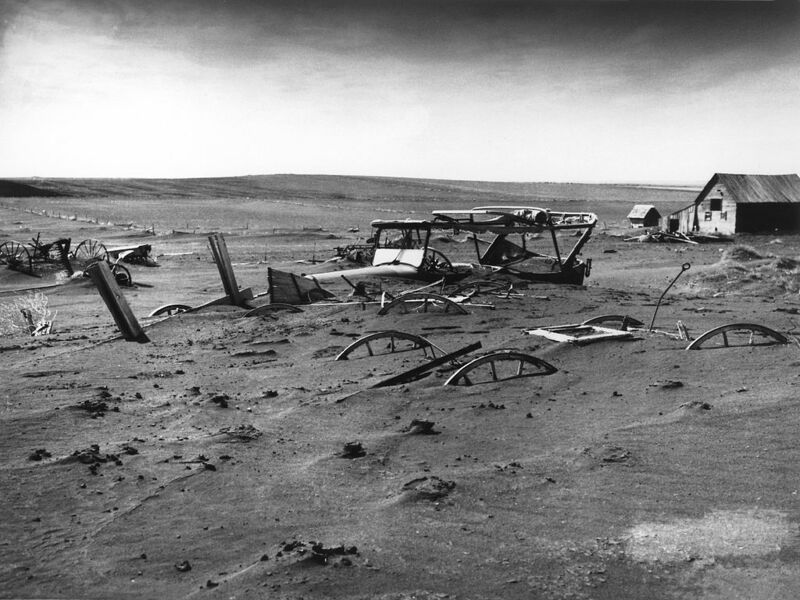 Fun Dust Bowl Facts for Kids ." Easy Science for Kids, Apr 2019. Web. 24 Apr 2019. < https://easyscienceforkids.com/all-about-dust-bowl/ >.